Do you seek professional assistance that can undertake the designing of your dream project? 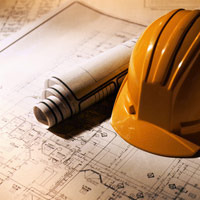 Are you in search of a reliable name that can provide services in connection with the design of buildings? Well, we can help in this regard Creative Creation is a Dehradun (Uttarakhand, India) based company, specialized in providing architectural services for all sorts of residential, commercial and industrial properties. We have a pool of qualified and professional architectures, who plan, design and review the construction of building, making it convenient for the clients. We can be contacted for map layout drawing and 3D modeling. We do not impose any hidden charges; feel free to dial the provided numbers.